The Mother of All Endcaps! 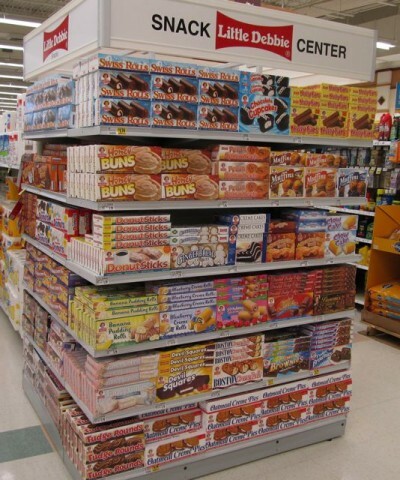 Is there any question why Hostess is filing for bankruptcy when this is your competition? I’ve lived in apartments smaller than this. In fact, my first place was a Charmin display at the end of Aisle 6 in my local A&P. It was so small it didn’t even have a bathroom, but as it turns out, that wasn’t a problem. Posted by Ted on January 12, 2012, 2:50 AM.